How is paper made and can I make it too? That paper is a easy creation. You need resources that you can't get from the classroom. That there is a reason we use trees to make paper. I will recycle more and more so that we can re use the paper and we won't have to destroy and know down the trees. Are there different kind of fabric to use to make paper? I think I did really good on my project all tho I tried really hard to create paper myself at home and at school I could not do it. The reason why was because you needed this machine that will pull the pulp out of the leaves and the tree but I tried and tried and I still could not get it when I researched this the answer was obvious and right as I started my project Mr.Solarz answered my question right in front of me so there was not much more to research but I still tried and that what mattered about my project and that is why I researched on this topic and I was curious about it and I could just ask a family member how it was made but I went in depth and researched on this topic. One thing that I would try to stop was how much paper we make! Like come people we don't need that much paper! Is it more important to make paper than breath!? There are also certain why use trees. 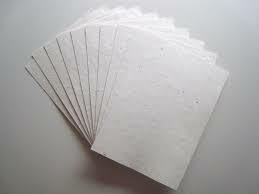 Another question I have: Is there different things we can make paper out of then just trees. I learned a lot of thing about a boats mechanics. It was very fun researching about the boat. I learned that the boat in designed from different part to make the boat float o water. Another thing is that I learned that the boat has ben very useful to humans, because we can use it to get around easily for the earlier civilizations and when they were made out of wood. People thought it was easy to get around to places over water for transportation like the titanic. Some boat can be power by humans such as with a paddle, oars, and by one or more engine. 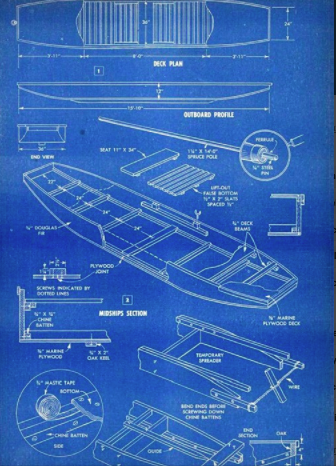 The first type of boat was a boat that you could make out of wood it was carved out of wood that was the first boat. What happens to the volcano after it erupt? What is the most active volcano? How do you know when a volcano is going to explode? How many volcano are in the world in 2018? What a sign a volcano is not going to erupt? What is the difference between geysers and volcanoes? How do people get really close to volcanoes? Eruptions happen when pressure forces magma from the magma chamber through the main vent, up to the crater. Not all volcanoes are are mountains, some are plateaus and bulging dome shaped. How many ways can a volcano erupt? Does the name volcano based off someone or how something exploded? Can volcanoes explode in different ways if so how many ways? are you able to cause a eruption man made real volcano? Does the color or what is in the volcano change the way it erupts? Why don't earthquakes cause volcanoes to erupt? I really liked this project and definitely learned a lot about the process of volcanoes erupting. The most fun I had with this project was learning about the lava and magma in the volcano and out of it. It was really fun because the lava was really cool and the eruption were so amazing how they erupted. The easiest part of this was probably finding facts about what the volcano looks like and what is inside it. I learned a lot about the cycle, way more then I thought I would and I think I will have a fun time explaining what I learned to others. I felt like I learned the amount I wanted for this project and did a great job finding information. I know some of the key words (example) "Arrivederci" means "goodbye". I know how to say some easy words and sentences in Italian. 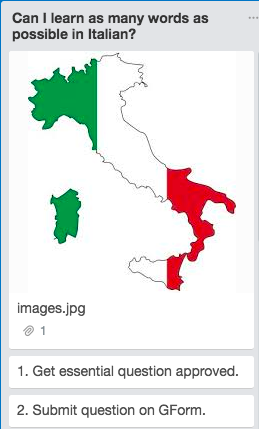 I want to know at least 20 more words in Italian. I will go onto duolingo and learn the words there. ​What new question(s) do I have? I have learned words in the categories of food, animals, and basic words and phrases. Can I learn enough words that I can get to go to Italy and the people there will understand what I am saying? When I was doing this, I had a lot of fun. Since I love reading and researching, this was the perfect project for me. My favorite part was the researching and reading, but my least favorite part was putting the words I learned into my website since I had to keep on adding text boxes, but all in all, it was worth it. If I were to redo it and try again, things I would do differently are to be better at my time management an get it done quicker. If someone else were to do a project like this, the advice that I would give them would to do a lot of research and read a lot of language books. Some stuff that was hard for me was when I had to make the video because I didn't know what to say in it. I had to think of things on the way of making it because I didn't plan it out enough. Another thing that was most fun was when I was making the website because I like challenges and this was a real challenge. Also, another thing that was easy was when I was reading the books and doing the research because I do that as a hobby in my everyday routine, so this was a piece of cake for me. Can we make our own fun game/sport? Mikey S. and Mikey F.
The outline for our sports court. The materials you need to have to play the game. I know will be hard to get people to like it enough to play it for fun. Also to make it hard enough that it is a little challenging but not impossible that no one would be able to play it. Also, everything we used has already been invented. That there is no point to a game if no one likes it. We learned that making a game is pretty hard because you have to think of something that hasn't been done before. Also we had to use stuff that was all ready invented and that we could use. That it is hard to make a game so everyone would be able to play it. Will kids play it for fun, like it, and tell others about it? Also what materials we will use? Also if we can make will everyone can play it. Will kids play it a lot? Will people be able to afford it? ​We used are minds to find a game we both wanted to do. Also we looked up who invented basketball and how James Naismith got the idea. We will learn this by researching sports on the computer. Also by brainstorming, and looking on youtube to see the sports those people have made. Was it hard for the creators of other sports to design them, and make the game like basketball? How did they make the sport affordable? Was it hard for the creators of other sports to get people to like their sport? Why did the inventors of other sports decide to use the materials that they did? I learned that it is hard to make a game because we had so little objects to choose from. The hardest thing we had to was trying to make the game so everyone could play it (affordable). I also learned that it is hard to narrow two peoples ideas in to one. It was fun when we made the video because it was fun for me to explain are game and how it worked. 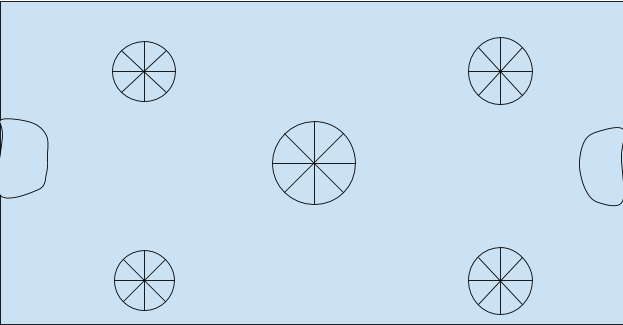 Another thing that was hard for me was to decide what our court looked like. 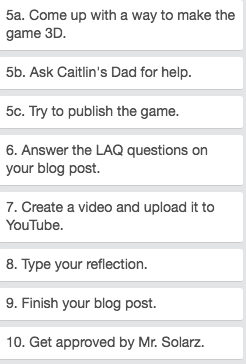 Their was also some easy things that we did like was the blog post and coming up with our ideas. I would change the materials that we​ used because everything costs money and we choose so many materials that not everyone has and might not what to buy so in the end not everyone can play our sport, and I kind of to make the sport so everyone could play the sport. But I still like how it turned out. If anyone wanted to do something like what we did I would tell them that it is hard and it takes a lot of work and time, and that you want to make sure that people like your sport and would want to play it. Also you might want to use the smallest amount of stuff so more people could play it with out having to go to the store, or you might want to make your own materials. One of the things I learned was how hard it is to think of and idea for a sport that hasn’t been invented yet. So we took things from other games and made them into our own game. The most fun part probably would have been playing the game, but we never got to because we didn’t have the right court. So the most fun part was probably adding the finishing touches to our game. The hardest part was trying to come up with an idea for a sport that was not yet invented. The easiest part was making our video because, by the time we were making our video we were pretty much pros on the gameplay and rules of our sport. Next time I would probably do my best to create a game that I actually got to play. What I would tell people who are creating a game or sport is that when they are thinking about how the game will be played they have to make sure that their sport does not start to become too much like an already invented game or sport. What was it like as a U.S. Soldier In the Vietnam War? Will V.
That Tons (weight) of bombs were used in the war. That 2.7 million people served in the war. 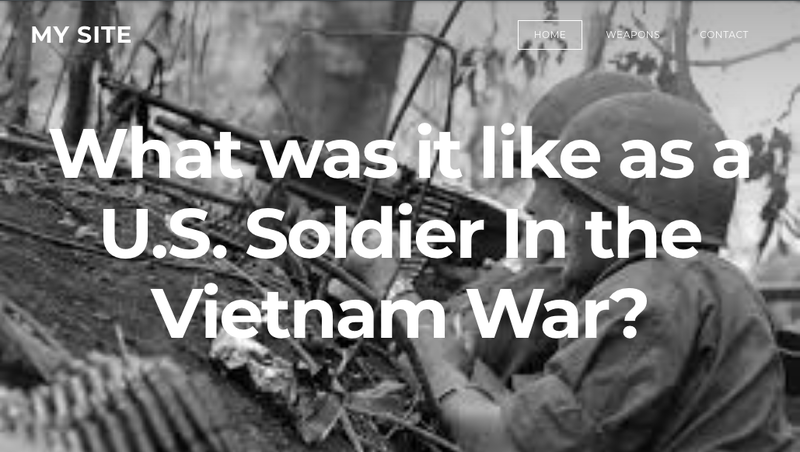 How the Vietnam war was started? What were the ranks of the soldiers? where did we deploy the most soldiers? That there are not prestiges in the army like in video games. there are 10 military soldier ranks. that there was no war (front line) to advance. that there wasn't a well defined theatre in which to operate. That you have to serve for 9 years in order to become the highest military rank. To tell others about some of the most interesting facts about the war. to answer questions people ask me about ranks of a soldier. to answer questions people ask me about some of the Vietnam's hardships. To share my website with family members. How was the war started? What was the majority age of the people serving in the war? Were the majority of the soldiers who fought drafted or already in the army? How do you stay in communication during the war? Do enough people serve in the army as needed or wanted? How long does the average person serve in the army? I learned a lot about the Vietnam war, I learned that there are 10 ranks of a military soldier and you need to exceed the requirements before you rank up, and to be the highest rank in the military you have to have served for 9 YEARS! I also learned that combatants on both sides faced physical challenges posed by the climate, terrain and wildlife of the country, also on top of that there was no war front to advance, no safe region to defend, not even a well defined theatre in which to operate. That is some of the most interesting stuff I learned. I had the most fun reading about the military ranks, because it just blew my mind about what the requirements were in order to rank up for some of the ranks, like for the highest rank, you have to serve for 9 YEARS! Although it was pretty difficult understanding and pronouncing some of the words used in the definitions, like guerrilla, Because I had to search up how to pronounce words like guerrilla, you actually pronounced gorilla, except instead of 'illa', its ella. 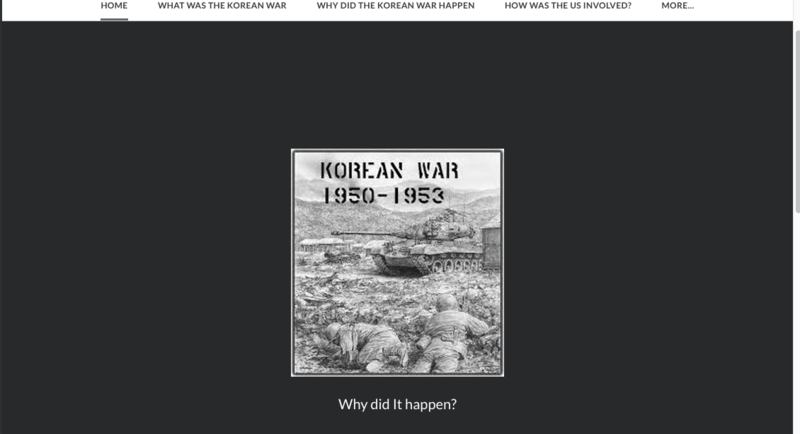 What was the Korean war? How was the U.S. Involved? Why Did it Happen? By Owen P. Daniel B. It was between the Koreas. Why was the U.S. involved? ​​What action will I take? We mostly watched a lot of youtube videos that explained the advances and some articles. I could use the info that I learned to teach others. ​What questions do I have? The only questions that me and Owen have is if General MacArther had been less cocky would the war have been a lot shorter and would. less lives be lost. The other question is what would happen if one of the sides won the war? Would Korea be united again or would there be even more conflicts in the country. ​Some really cool things I learned were that nobody really won the war and it was caused by North Korea crossing the 38th parallel. Another cool thing I learned was that the war could have ended a lot sooner if general MacArther wasn't so cocky. The thing that I think was most fun was showing how the battle went back in forth using plastic army guys. The thing that I thought was the most difficult was trying to figure out what was fake and what was true because some websites had different facts than other ones. Something that I thought was pretty easy was making my website because I had already made websites in the past so I knew how to make them. Something I would ave done next time was try to not waste as much time trying to find all the true facts and fake ones and try to figure it out a little bit quicker. Finally advice I would give to others like this would be to make sure to look at the maps in the videos you watch because it shows you how the war went. All in all I think that I did a really good job and that this might have been my best passion time ever. I would rate myself a 9.5/10. I really learned a lot about this like 1950 and 1951 had a lot of andanvese but 1952 and 1953 there was little pushes and little falls. I also learned that the leader of north Korea thought south Korea would welcome them. It was fun doing our video where we did are a war with little army guys. There was nothing really hard it was really easy because there's these videos that explained everything really well.Some of my thoughts about this where why did Douglas advance when they had already got most of it or why didn't Russia help And north Korea thought they would be welcomed For some reason And if some one did this I would suggest watch a lot of youtube videos.I wish we would have more time because we spend a lot time on step 5 because we didn't get a lot of time to fix are mistakes.Because. There's only one period right now so I would suggest not to spend a lot of time on 5 and try to leave a period for fixing mistakes. Can We Make A Website Teaching Others About The Great Pyramids? By: Olivia K. and Brynna G.
Is there anything hidden inside the great pyramids? How did they have the technology to create the pyramids back then? I learned so much about the Great Pyramids! I learned who built them, what they're built out of, and so much more!! What I thought was most fun was creating a website with Olivia, I never knew that I could make a website. I always thought that was for adults or something. Getting the website started, and getting the basic facts about the great pyramids was the most difficult part for me. 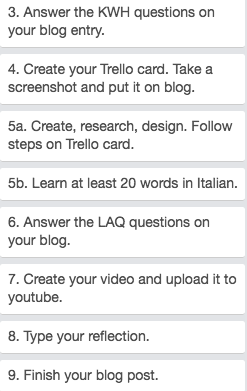 The easiest part for me was making our YouTube videos of us showing our website and what we learned. Me and Olivia made a tiny pyramid out of clay and I wish we would've taken more time and put more effort into making it, that's what I would have done differently next time. My advice to people that are doing this project is to work very hard on this project and it will turn out good. 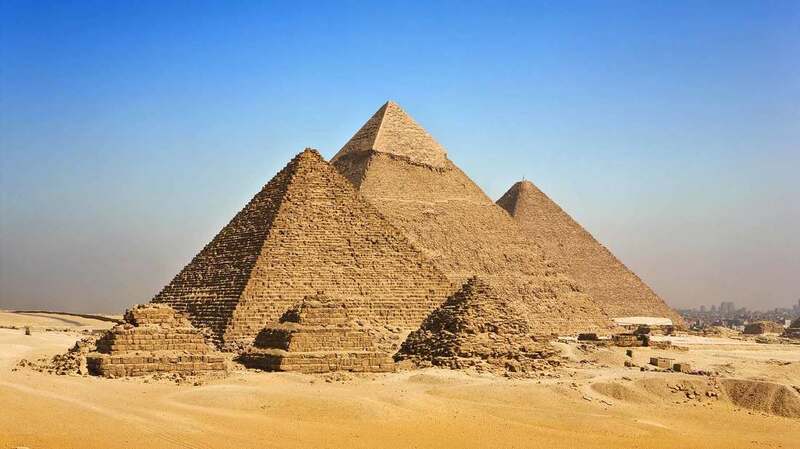 I learned so much from creating a website about the Great Pyramids, one of the many amazing facts that I learned was that the Great Pyramid was originally covered in casting stones made of limestones. These reflected the Sun’s light and made the pyramids shine. It has been calculated that the original pyramid with its casing stones would act like gigantic mirrors and reflect light so powerful that it would be visible from the moon as a shining star on earth. The most fun thing was creating our own “Great Pyramid of Giza”! The most difficult thing was finding facts and putting them in our own words. Some advice I would give to people who are also doing this is to try to come up with a lot of questions before you start and answer them.